Product code: ES3264 Categories: Sold Items, Sold Jewellery. 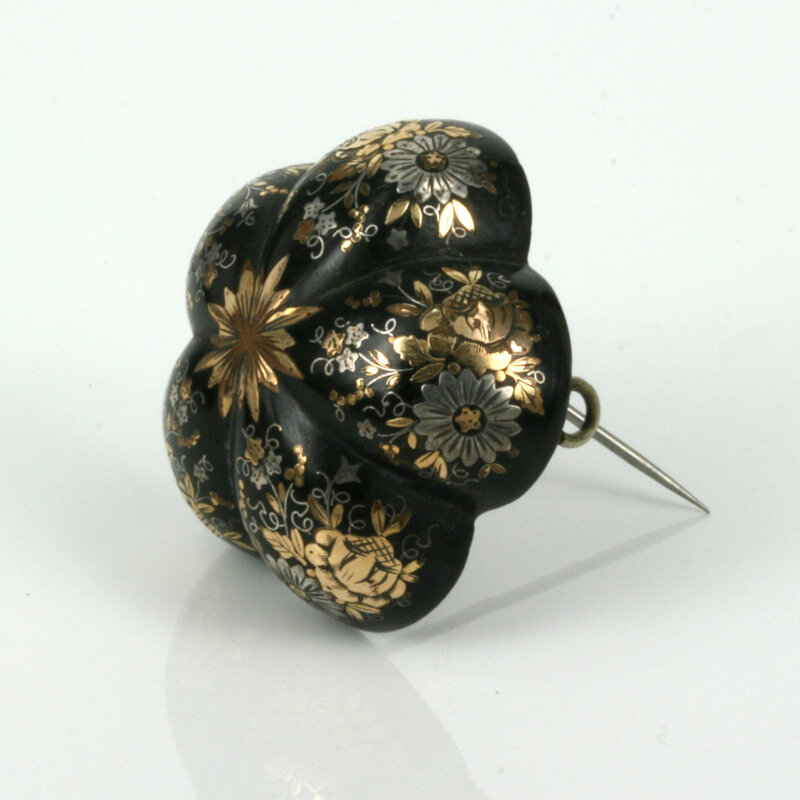 Pique jewellery uses tortoiseshell inlayed with gold and silver, and was popular centuries ago right up until the late Victorian period of the 1890’s and is a style of jewellery all unto itself and one that simply can not ever be reproduced making it so sought after and unique. 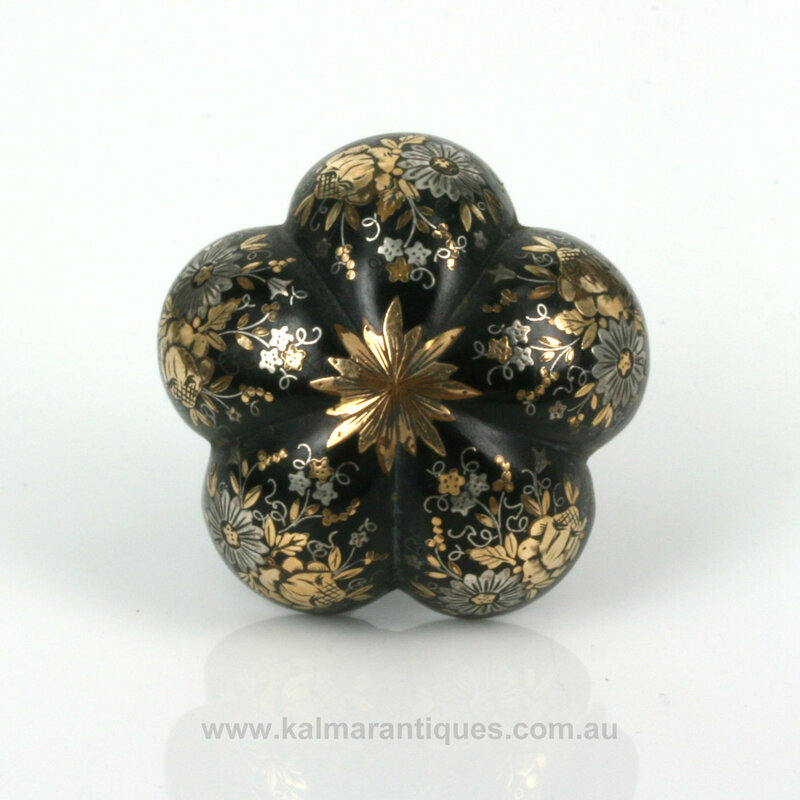 This particular pique brooch would date from the 1860’s and is spectacular in not only the intricate design of the gold and silver but also the shape and height. 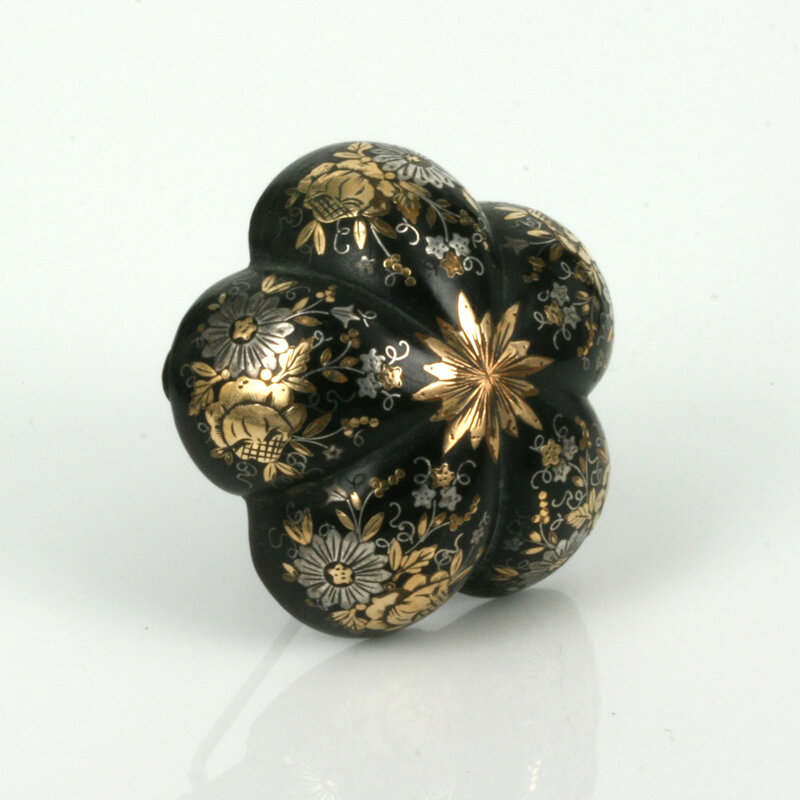 The fine detailed work is typical of pique jewellery made prior to the 1870’s, and has the most delicate floral design. 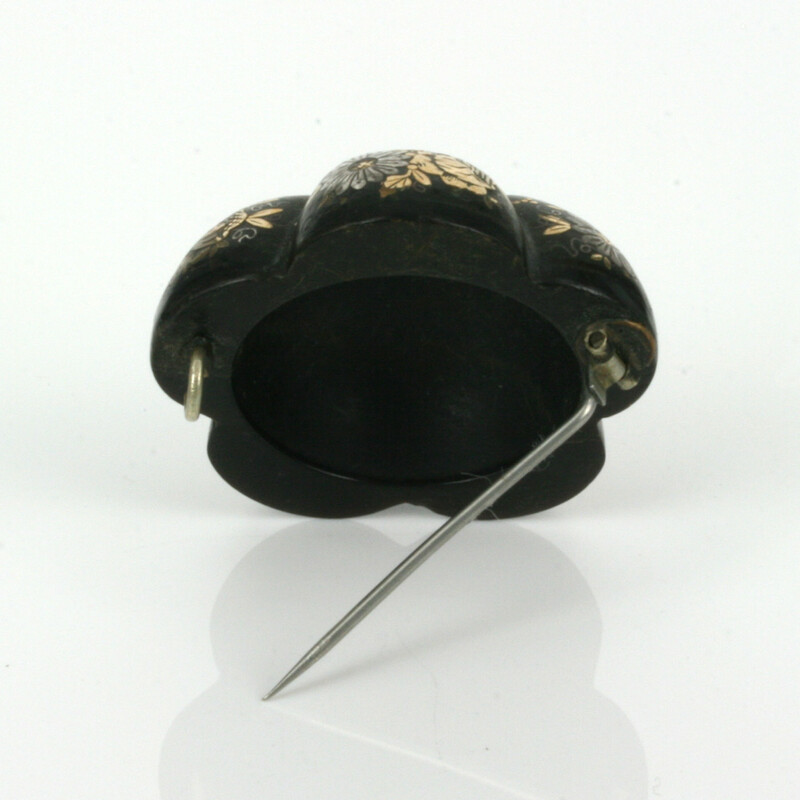 The brooch itself measures 38mm across by 16.4mm high and makes it quite unique as most antique pique brooches are more slimmer. With the wonderful chocolate brown colour combined with the gold and silver that is all in superb condition even well after 150 years later, makes this a very elegant and attractive example of a Victorian era antique brooch.